Economic conditions warranted a substantial monetary easing, said chief economic adviser Arvind Subramanian just hours after the RBI kept its benchmark repurchase rate unchanged as expected at 6.25 percent. Tensions boiled over between the central bank and Prime Minister Narendra Modi's government as Asia's third largest economy faces its weakest growth in two years and record low inflation. Six months after setting up an independent committee to oversee interest rates, the government is openly expressing frustration that the Reserve Bank of India or RBI chose not to ease monetary policy on Wednesday. The move to keep rates unchanged, amid a dissent within the Monetary Policy Committee for the first time, followed reports the committee declined a meeting with the government. 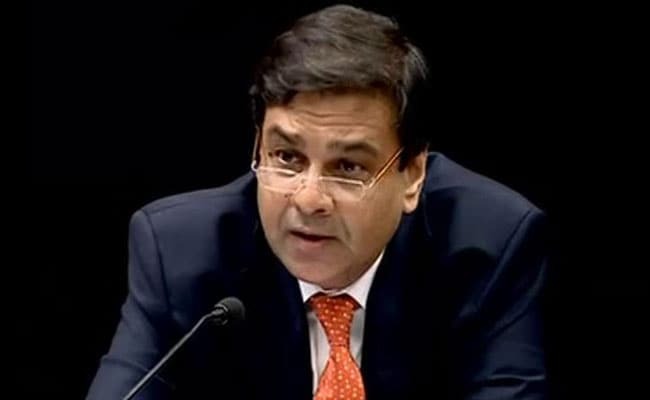 "The meeting did not take place," RBI Governor Urjit Patel told a media conference following the rates decision. "All the MPC members declined the request of the finance ministry for that meeting." "I think there is a plausible alternative macro-economic assessment," Mr Subramanian said at a media conference in New Delhi. "Inflation forecast errors have been large and systematically one-sided in overstating inflation." Before the two-day RBI meet, Finance Minister Arun Jaitley said in a statement that growth and investment needed to improve and any finance minister under these circumstances "would like a rate cut". "There is some level of divergence of views on interest rates between the government and the RBI," said Sujan Hajra, chief economist at Anand Rathi Securities Ltd. In Mumbai and a former central banker himself. "Clearly the RBI has downgraded its view on inflation and with that the stance will also have to soften." The RBI did slash its inflation projections, a big departure from April when Governor Mr Patel said growing price pressures needed "close vigilance." "We believe this paves way for a rate cut in the August policy meeting as the consumer-price index is expected to remain subdued," said Anubhuti Sahay, head of South Asia economic research at Standard Chartered Bank Plc, referring to the cut in inflation projections. The $2 trillion economy has been softer than the central bank forecast. Consumer price inflation rose just 2.99 percent in April from a year earlier, the weakest on record. Core inflation -- which strips out volatile food and fuel costs -- rose 4.5 percent in April from a year earlier, lower than the 4.8 percent rise seen in March 2017. A 5.5 percent rise in the rupee this year is helping to drive down the cost of imports, and along with softer crude prices, inflationary expectations appear to be subdued. Gross domestic product expanded by 6.1 percent in the January to March quarter, the slowest in two years, amid the aftershocks of Prime Minister Modi's decision to ban high-denomination notes in November in a bid to curtail corruption. For the whole year to March, the economy grew 7.1 percent, down from 8 percent in the previous year. The RBI now expects headline inflation at 2 percent to 3.5 percent in the first half the fiscal year ending in March, down from a forecast of 4.5 percent in April. In the second half of the year, the bank sees inflation edging up to 3.5 percent to 4.5 percent, also lower than the 5 percent previous forecast. It also forecast lower growth. The cut in inflation forecasts was cheered by investors. The yield on benchmark 6.79 percent notes due May 2027 dropped seven basis points to 6.57 percent, set for the biggest one-day decline in three weeks. The RBI's downbeat assessment for both growth and inflation comes at a time when credit growth is at its lowest in 25 years and the central bank is tackling a huge surplus of liquidity in the banking system and grappling with a pile of non-performing loans. "The key concern remains the state of banks' balance sheet including much needed recapitalization," said Bekxy Kuriakose, head of fixed income at Principal PNB Asset Management Company. "The RBI appears to be against taking premature action on the rate front." That is partly because the monsoon soon is progressing normally and is poised to boost rural incomes. That along with higher allowances for workers in the public sector is likely to bolster activity.